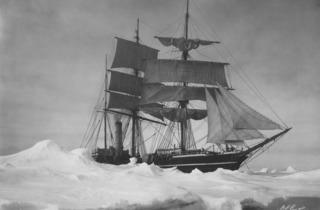 Departing from Lyttleton on New Zealand’s South Island in 1910, pioneering director Herbert Ponting was charged with keeping a detailed cinematographic record of the fateful British Antarctic expedition fronted by Captain Scott and his hearty entourage. Ponting’s varied photographic findings coalesce into an awe-inspiring silent (that’s been beautifully restored by the BFI) which, like the works of filmmaker-ethnographer Robert Flaherty, appears to allow elements of fiction and performance to filter into the straight scientific findings. Aside from the harrowing final stretch, which is made up of intertitled excerpts from Scott’s diaries as he gradually fell foul of the deathly cold, the tone is one of giddy excitement and a certain English whimsy. An early shot shows a daredevil Ponting suspended on two planks off the bow of their schooner to get some footage of the ship’s prow neatly slicing through the fields of ice. Ponting’s camera is also drawn towards the wildlife, and there’s a satisfying naivety dashed through the educational bent of his observations: penguins are differentiated as ‘ladies’ and ‘gentlemen’ while, during the courting process, one is accused as giving another ‘the glad eye’. The film’s sense of adventure is infectious, but seen 100 years after the fact, it takes on a darker relevance. In one scene, the sailors obstruct some killer whales from snacking on a young seal, but soon after are shown tossing seal meat to their huskies. It’s an aside that speaks volumes about how the notion of progress so often walks hand in hand with casual ruination of the natural world. Ultimately, a bit of an endurance test in itself. The first 40 minutes is authentic footage and photographs of the Scott expediction itself. The next half hour is entirely about penguins and outstays it welcome. The last third, purporting to depict Scott and his team consists of what looks very like staged footage (with the sledmen never showing their faces and shots taken before Scott and his fellows left). Unfortunately, there is some form of animated footage resembling Michael Bentine's Potty Time. Small black matchboxes are slightly jerkily moved across a model snowscape pretending to be Scott's sled. At one stage, a live insect is visible clambering over the iceberg in the right hand side of the frame whilst this ludicrous depiction is enacted. 40 minutes of genuine film and stills of Scott; the rest is either extraneous (if initially charming) or staged.